No no, not your sanity! 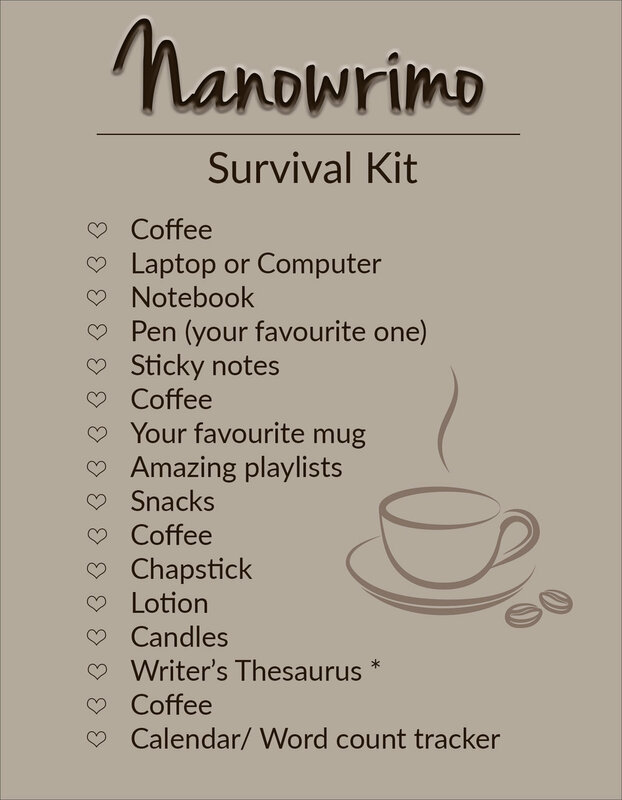 Your Survival Kit! 50,000 words will take it out of you, so having all your favourite go-to items ready when you need them, will make this process so much easier! Below is what I need to make sure that each and every time I sit down to write, my mind can be focused solely on the task at hand! Shhh... did you hear that? If you dont like the world you live - Build your own!